T. Boone Pickens—with Lifetime Sportsman Award winner George Strait (right)—is Park Cities Quail’s chairman emeritus. His auction donations have raised more than $1.5 million. Courtesy of Park Cities Quail. In 2006 a small group of Dallas quail hunters launched a fundraiser that has earned millions for quail research and become a force in the conservation community. It began after a slow bird hunt, when Dallas businessmen Joe Crafton and Rusty Rice stopped for dinner in the town of Albany, Texas. The conversation inevitably turned to the quail decline and how difficult it was to locate good hunting spots. Rather than complain, Crafton and Rice decided to do something about the problem. They formed the Park Cities Chapter of Quail Unlimited (PCQU), planned a fundraiser and created a Lifetime Sportsman Award. Crafton already had the first recipient in mind. He was a gentlemanly, veteran bird hunter named Walter Kellogg. Kellogg was an Amarillo native and a lifelong friend and hunting companion of Dallas businessman T. Boone Pickens. “Boone and I have probably killed more quail together than any two men alive,” Kellogg told Crafton, and he wasn’t kidding. Pickens owns Mesa Vista Ranch, on the Canadian River, northeast of Amarillo. Thanks to a farsighted management program, Mesa Vista is one of America’s premier quail ranches. Pickens was delighted to hear that his old friend would be recognized. Tragically, Kellogg died five weeks before the fundraiser. His family attended, and Pickens memorialized his old friend as only he could. About 500 other sportsmen and women attended, and the event raised $80,299—the QU record for a fledgling chapter. In 2008 PCQU decided to honor Pickens with its Lifetime Sportsman Award. Pickens responded by donating a hunt for six couples to Mesa Vista Ranch, including transportation aboard his Gulfstream jet. The exclusive donation created a buzz among Dallas sportsmen, and the drama reached a fever pitch when the event rolled around. The bid for the Mesa Vista hunt rocketed past $100,000 and finally settled at $140,000. No QU auction item had ever sold for anywhere near that amount, but Pickens was about to flash his famous style of upping the stakes. He approached the bidders who had dropped out just shy of $140,000 and offered to host an identical hunt if they would match the winning bid. 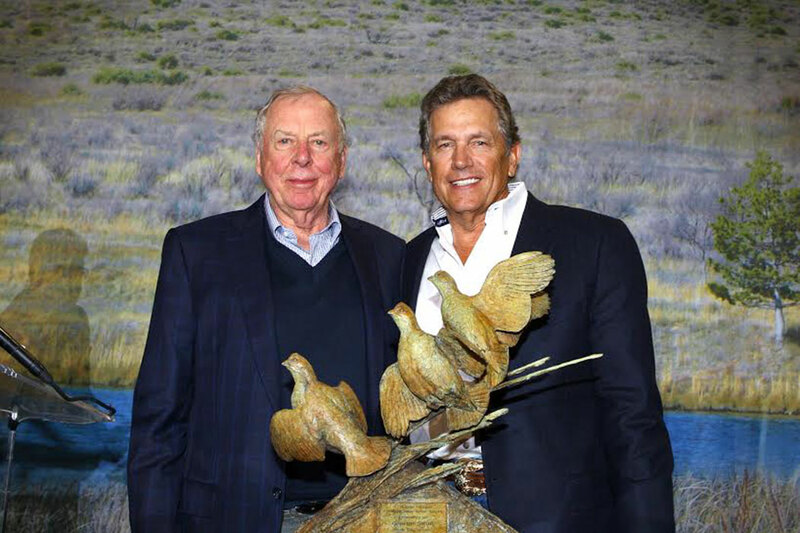 They agreed, and Pickens’ dedication to quail conservation netted $280,000. The event as a whole netted $654,000, breaking the QU record by more than $400,000. PCQU renamed its annual award the T. Boone Pickens Lifetime Sportsman Award, and Pickens agreed to be the organization’s chairman emeritus. His auction donations have raised more than $1.5 million. To gain autonomy in how its earnings were spent, PCQU broke away from Quail Unlimited and founded Park Cities Quail (PCQ). Seven other Texas chapters of QU followed suit, forming the Quail Coalition. Each chapter is raising money for quail research and habitat work and deciding how it is spent. The Quail Coalition has about 3,000 active members, 1,800 of them from PCQ. PCQ alone has raised and spent more than $6.6 million on quail conservation, most of the work accomplished by 28 dedicated volunteers. Such notables as Ted Turner, George Strait and Tom Brokaw have received the annual Lifetime Sportsman Award. About the time PCQU was formed, Dr. Dale Rollins was putting together the Rolling Plains Quail Research Ranch (RPQRR). The 4,700-acre property in Fisher County, one of the state’s most consistent quail counties, was purchased by the Richard King Mellon Foundation via the Conservation Fund. Rollins, a Texas AgriLife Extension Service biologist, already had earned his spurs among quail enthusiasts by creating the Bobwhite Brigade youth leadership program, an effort that morphed into Texas Brigades. PCQ recognized the value of long-term research and adopted the RPQRR, funding its annual budget of about $235,000. Approximately 60 percent of PCQ’s earnings, however, go to other quail-related projects. Any legitimate researcher can make an application. Primarily a fundraiser, PCQ also plays an advocacy role through other hunting organizations and with local, state and federal entities. The culprit in most of America’s quail decline is habitat loss. The Rolling Plains region of West Texas, however, has millions of acres of seemingly prime quail habitat that appear not to have changed in 50 years. Sure, quail populations boom and bust with weather cycles. The 2016 season, following two wet springs and mild summers, set a record. The annual quail census by the Texas Parks and Wildlife Department (TPWD) counted a record 50.24 birds per 20-mile roadside census line. The long-term average, since 1974, is 20.97. RPQRR’s roadside census counted more than 500 birds per line, according to Bradley Kubecka, a graduate student doing his master’s thesis on quail-census techniques. The reason for the variance is because every inch of the research ranch is well-managed quail habitat, whereas the state counts are done on the same census lines that have been used for years—and the habitat they run through has changed with landowners’ whims. The other way is by running. Dale Rollins says quail hunters should always hustle to the point. You can admire a stylish point all you want, but there’s a good chance the birds won’t be there when you walk in for the flush. TPWD’s 2017 quail census for the Rolling Plains tallied 23.16 birds per census line. RPQRR counts were 203.16. The research ranch is clearly doing good management work, but can anything be done to stockpile birds from a season like 2016’s? If so, you can bet that Park Cities Quail will make every effort to find out. For more information, contact Park Cities Quail, 214-632-7460. or the Quail Coalition. Ray Sasser has written about Texas outdoors for 44 years, 34 of them for the Dallas Morning News. 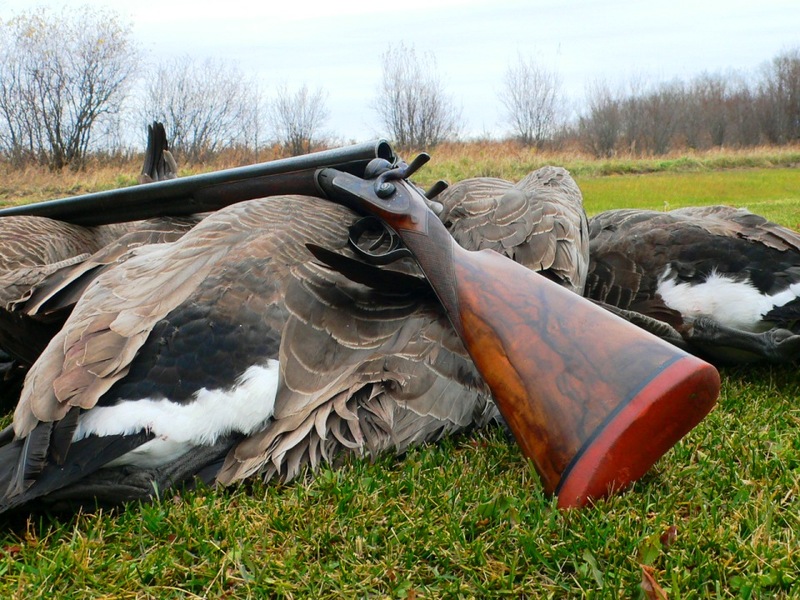 Hunting wild quail is the one thing in the outdoors he has not done often enough. English gunmaker Boxall & Edmiston, which has been in the forefront of computer-generated design and manufacture while retaining elements of traditional crafts-manship, has created an online tool to create the ultimate custom gun.